Who invented Facebook? The name of the person credited with inventing Facebook is Mark Zuckerberg (1984 - Present). Mark Zuckerberg is not only famous as the American inventor of Facebook but also as a computer programmer and engineer. When was Facebook invented? Mark Zuckerberg invented Facebook in 2004, during the Technology and Information Age of inventions. The invention of Facebook originated in America and is considered a highly influential achievement in the field of Communications, Information and Social Media. Definition of Facebook: Facebook is defined as a popular online social networking site that enables instant messaging and photo sharing opportunities to users. Fact 1: Who invented Facebook? Facebook was invented by Mark Zuckerberg in 2004 during the Technology and Information Age of inventions and created a global phenomenon in the area of Communications, Social Media and Information. Fact 2: Who invented Facebook? Prior to the invention of Facebook in 2004, there was a number of social-networking websites including others used by students such as Facemash and Coursemash. Fact 3: Who invented Facebook? The inventor of Facebook, Mark Zuckerberg, was born on May 14, 1984 in White Plains, New York, United States. Fact 5: Who invented Facebook? The early years of Mark Zuckerberg were spent in White Plains, New York, United States in then in Dobbs Ferry, New York where he was raised by his family. Mark Zuckerberg was an excellent student and educated at Ardsley High School and then the exclusive private school, Phillips Exeter Academy. Fact 6: Who invented Facebook? His interest in computing began in middle school when he began developing software programs for games and as communication devices and developed a reputation as a talented computer programmer. Phillips Exeter Academy published its own student photo directory called the "Photo Address Book", which students commonly referred to as "The Facebook". Fact 7: Who invented Facebook? Mark Zuckerberg graduated from Phillips Exeter Academy and entered Harvard University in the fall 2002 enrolling in psychology and computer science courses. Fact 8: Who invented Facebook? In his second year at Harvard in 2003 he launched a fun web program called "Facemash" which allowed students to select the most attractive person from a choice of photos. Facemash was an instant success and its popularity was such that the program prevented students from accessing the Internet. Facemash quickly drew the immediate attention of the university administrators, the site was shut down and Mark Zuckerberg was nearly expelled from Harvard. Fact 9: Who invented Facebook? Undaunted by his experiences with Facemash, Mark Zuckerberg went on to write code for another program and a second website and on February 4, 2004, he launched "Thefacebook", the precursor to his invention of Facebook. Fact 10: Who invented Facebook? The launching of "Thefacebook" was controversial and resulted in three Harvard seniors (Divya Narendra, Cameron Winklevoss and Tyler Winklevoss) accusing Mark Zuckerberg of using their ideas for the site. The three later filed a lawsuit against Mark Zuckerberg that resulted in a settlement in 2008 for 1.2 million Facebook shares. Fact 11: Who invented Facebook? "Thefacebook" was launched for the use of Harvard students and became another success. Mark Zuckerberg therefore enlisted the help of his roommate, Dustin Moskovitz, to spread it to other colleges and universities. Fact 12: Who invented Facebook? In 2004 Mark Zuckerberg and Dustin Moskovitz dropped out of Harvard and moved to Palo Alto, California in the San Francisco Bay Area of the United States. They rented a house with some other friends and had a wow of a time rigging up a zip wire over the swimming pool. Fact 13: Who invented Facebook? The invention of Facebook was based on a really simple idea. It was a communications tool for keeping track of friends and informing them of what you were doing. It differed from other websites such as Friendster and MySpace by connecting people to real friends instead of strangers. It was great fun and could also be used as a an electronic social diary enabling social interaction. Fact 14: Who invented Facebook? In the summer of 2005 Mark Zuckerberg changed the site's name from 'thefacebook.com' to simply 'facebook.com' and the logo redesigned at the same time. The idea of the change was to make the name more Memorable and Readable and more suited to being quickly found by search engines. By the end of 2005 Facebook hit 5 million users. Fact 15: Who invented Facebook? In 2006 Yahoo offered an estimated $1 billion dollars for the site which was declined by Mark Zuckerberg - he was just 22 years of age. Fact 16: Who invented Facebook? In 2007 Microsoft paid $15 billion dollars for a 1.4% stake in the company. Fact 17: Who invented Facebook? In 2007 the site was opened not to just students but to anyone who had an email address and the site became a truly global phenomenon. Fact 18: Who invented Facebook? By 2008 the site was reaching 100 million active users. On April 24, 2012 it went on to reach 900 million active users. Fact 19: Who invented Facebook? 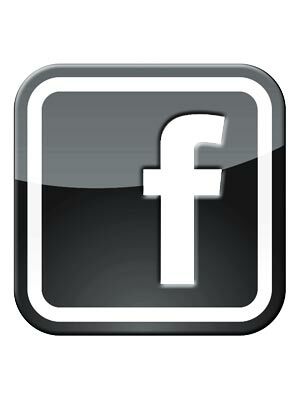 In February 2009 Facebook introduced 'Like', allowing people to endorse other people's posts. In the same year the site overtook MySpace to become the Internet's largest social network. Fact 19: Who invented Facebook? The rapid growth of social media provided social platforms for people to express their views. However not all countries embraced the use of social media and sites such as Facebook, Twitter and YouTube were banned in countries such as China, North Korea and Iran. Fact 20: Who invented Facebook? In 2010 "The Social Network," a movie about Mark Zuckerberg was released and won three academy awards. Fact 21: Who invented Facebook? In 2012 the company continued to expand with the acquisition of Instagram for $1 billion dollars. Fact 22: Who invented Facebook? In August 2013 Facebook launched Internet.org. as a “global partnership dedicated to making Internet access available to the two thirds of the world not yet connected". Fact 23: Who invented Facebook? In February 2014 Facebook acquired WhatsApp Inc., a smartphone instant messaging application for $19 billion and by June 2016, more than 100 million voice calls were made per day on WhatsApp. By February 2017, WhatsApp had over 1.2 billion global users. Fact 24: Who invented Facebook? By January 2017 Facebook attracted 1.86 billion global monthly active users spending an average time of 20 minutes on the site. The Facebook 'Like' and 'Share' Buttons are viewed across nearly ten million websites every day.